Dr Andaleb Kholmukhamedov, Research Assistant Professor,Platelet Physiology Group, Blood Center of Wisconsin, USA. Dr Emmanuel Andres, Associate Professor, Department of Internal Medicine, University of Strasbourg, France. Dr Yutaka Shimazu, Doctor, Department of Hematology, Japanese Red Cross Wakayama Medical Center,Japan. Dr Adelaide Almeida, Assistant Professor, Department of Biology, University of Aveiro, Portugal. Dr Shamsaldeen Yousif, Senior Research Associate, University of Bristol, United Kingdom. Dr Mona A. Mahran, Professor, Department of Pharmaceutical Chemistry, Alexandria University, Egypt. Dr Farhat Afrin, Assistant Professor, Department of Clinical Laboratory Sciences, College of Applied Medical Sciences, Taibah University,Saudi Arabia. Dr Mina Javadi Moghaddam, Assistant Professor, School of Medicine, Rafsanjan University of Medical Sciences,Iran. Dr Maryam Allahverdi Khani, Faculty Of Medicine, Islamic Azad University, Najaf Abad, Iran. Dr Rateesh Sareen, Pathologist, Santokba Durlabhji Memorial Hospital & Research Center, India. Dr Umakanth Siromani, Professor,Department of Medicine and Immunohaematology, Christian Medical College and Hospital,India. Dr Shabir Ahmad Parray, Assistant Professor, Department of Ilmus Saidla, Unani Pharmacy, India. Dr Javed Ahmad Khan, Professor, Department of Unani, Mohammadia Tibbiya College, India. Dr Md Zaheer Ansari, Post Doctoral Fellow, International School of Photonics Cochin, University of Science and Technology, India. Dr Raveendran AV, Assistant Professor, Government Medical College, Kozhikode, India. Dr Rabindra Nath Das, Associate Professor, Department of Statistics, The University of Burdwan, India. 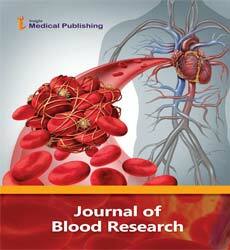 Dr Ashutosh Singh, Assistant Professor, Department of Transfusion Medicine, K.G.M.U., India.